GOOSE FAT - OCA SFORZESCA S.r.l. The TRADITIONAL LINE tell you about you territory. 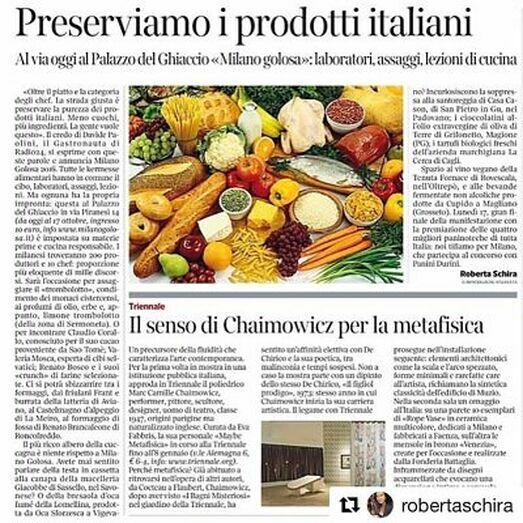 The according to a traditional recipe passed down from father to son for three generations, this ensures traditional tastes and flavours. 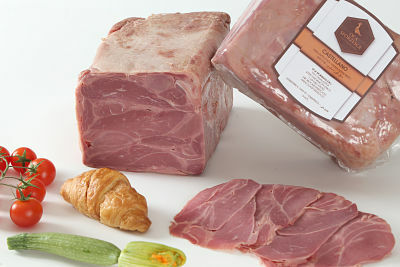 This products are made only with goose meat without pork meat added as tradition. The lean goose meat comes from Italy and from EU. 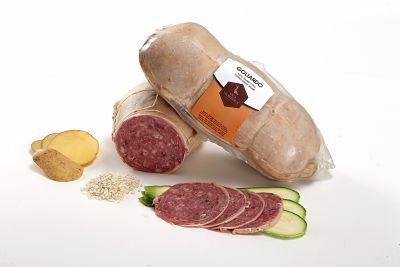 This line includes both cooked goose salami and cured goose salami. Among the cooked we have the goose ham, the goose salami, the goose salami with black truffle and with goose liver. Among the cured we have goose salami, goose bresaola and goose breast. In this line the goose meat meets the turkey meat. This line is lighter and cheaper. The lean goose meat comes from EU. Because of its higher frying point, with the goose fat you can sautée potatoes or other vegetables then offer to your customers an extraordinary experience. To help the consumer appreciate the freshness and lightness of lean goose meat we decided to develop the line of vacuum-packed sliced goose products.